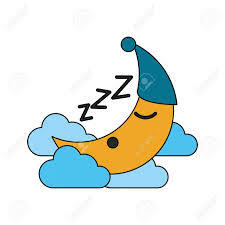 You are currently browsing the monthly archive for March 2019. How do you solve real-world problems? Hard ones? Not, say, partial differential equations…. But life problems, relationships, dilemmas, work, career, kids. Let’s turn to a new and wonderful book by Cornell University mathematician Steven Strogatz *. His book is about calculus. Remember your college course Calculus 101? One you may have struggled with? Can you believe calculus can solve real-world problems, not just math problems? Start with differential calculus and derivatives. This technique takes a hard problem and breaks it down into very very small pieces. Try the same with life. Problem? Insoluble? Break it down. Take it apart. Use the method of seven why’s… why?, response, why?, response, until you get down to the infinitely small level..and the core of the problem. Next take integral calculus. Start small and build it up. Build the big picture. 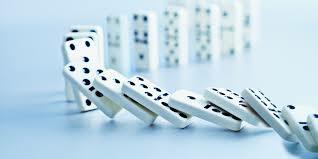 Take your seven why’s… zoom out, then put the pieces together and ‘integrate’….add it all up. Strogatz shows how a geneticist combined with a mathematical expert to crack the HIV problem. Drugs were developed to combat HIV and keep it from becoming AIDS. But there was a dilemma. Using the drugs prematurely might cause the body to develop immunity and endanger the patient. The mathematician plotted the curve of HIV virus in the body, over time, and how the body destroyed the virus…. And came up with the strategy, eventually, of the HIV cocktail – the combination of three drugs that has proved so effective and life-saving. This was done, using calculus, plotting the computing the curve of HIV virus ‘kills’ by the body’s immune system over time. Bottom line — tackle problems like a calculus expert. Break them down. Take a small piece. Work on it. Understand the whole problem by understanding a small part of it. * Steven Strogatz. 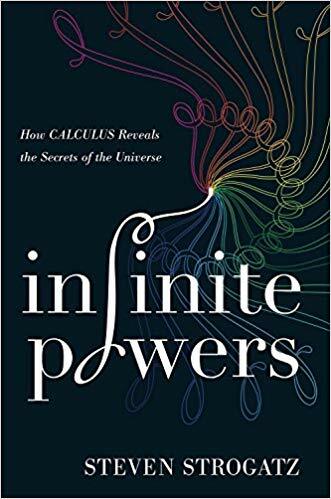 Infinite Powers: How Calculus Reveals the Secrets of the Universe. 384 pages. Houghton Mifflin Harcourt 2019. Three years ago, Greta Thunberg, a Swedish schoolgirl, skipped school on Friday and with a home-made sign, demonstrated outside the Swedish Parliament. Her request: Get Sweden back on track with the Paris Agreement to mitigate greenhouse gases and halt climate change. One young schoolgirl – what could she possibly do? Every Friday, she showed up again at the Swedish Parliament. Now, three years later, her single act has snowballed into a massive strike-from-school movement among school children all over the world, on March 15. Greta spoke to a climate change conference in Poland last year. She really stuck it to the old guys there. She got a tiny smattering of applause, showing their disapproval. She was far more warmly received when she spoke to the European Parliament later. Take a moment and read what she said in Poland. Believe me – it’s a wow! 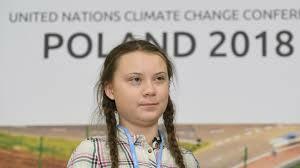 “My name is Greta Thunberg. I am 15 years old. I am from Sweden. I speak on behalf of Climate Justice Now. Many people say that Sweden is just a small country and it doesn’t matter what we do. But I’ve learned you are never too small to make a difference. And if a few children can get headlines all over the world just by not going to school, then imagine what we could all do together if we really wanted to. “But to do that, we have to speak clearly, no matter how uncomfortable that may be. You only speak of green eternal economic growth because you are too scared of being unpopular. You only talk about moving forward with the same bad ideas that got us into this mess, even when the only sensible thing to do is pull the emergency brake. You are not mature enough to tell it like is. Even that burden you leave to us children. But I don’t care about being popular. I care about climate justice and the living planet. Our civilization is being sacrificed for the opportunity of a very small number of people to continue making enormous amounts of money. Our biosphere is being sacrificed so that rich people in countries like mine can live in luxury. It is the sufferings of the many which pay for the luxuries of the few. “The year 2078, I will celebrate my 75th birthday. If I have children maybe they will spend that day with me. Maybe they will ask me about you. Maybe they will ask why you didn’t do anything while there still was time to act. You say you love your children above all else, and yet you are stealing their future in front of their very eyes. “Until you start focusing on what needs to be done rather than what is politically possible, there is no hope. We can’t solve a crisis without treating it as a crisis. We need to keep the fossil fuels in the ground, and we need to focus on equity. And if solutions within the system are so impossible to find, maybe we should change the system itself. We have not come here to beg world leaders to care. You have ignored us in the past and you will ignore us again. We have run out of excuses and we are running out of time. We have come here to let you know that change is coming, whether you like it or not. The real power belongs to the people. Thank you”. Remember the good old Cold War? The nuclear standoff between the US and Soviet Union? In the 1950’s American schoolchildren did regular drills for the possibility of nuclear war. It was not fun. Then in 1989-91 the USSR collapsed, and the US dominated for two decades. Here are three key geopolitical trends Friedman describes. Together they are scary. First, in this new Cold War, three powers have been in resurgence: Russia, Iran, and China. China claims the Western Pacific and spreads its reach throughout the world, with its Belt and Road project. Iran spreads its tentacles through the Mideast, in Yemen, Lebanon, Syria and Iraq. Russia engages in mischief throughout the world, including within the US, supporting bloody dictators like Maduro and Assad. Meanwhile the US retreats, spending more and more on defense while doing less and less to keep world peace. Second, more and more weak states are failing. Countries are collapsing, owing to corrupt dictators – Libya, Guatemala, Venezuela, El Savador, and elsewhere. This creates a flood of migrants which has destabilized European union and threatens the US. Reassembing those weak states is almost impossible – their dictators bribe the military and keep control against popular uprisings. Third, there are super-empowered small groups. These are hidden secret groups that make huge mischief, hacking elections, stealing, destabilizing, some government-sponsored, using cell phones and simple cyber tools. “Some guy in Moldova with a cell phone and some cyber tools can shut off power in Montana”, Friedman explains. This threat has been vastly underestimated by the US and Europe. Even without mischief, social media have destabilized politics, blurring the line between truth and lies and giving everybody the power to say whatever they wish and be believed. For some 30 years, after 1989, there was more or less a new world order, in which the US kept things under control, with some huge mistakes (Iraq, Afghanistan). This is now ending. It is not clear what kind of new world order will emerge from this mess, nor the price we will pay in the process and how long it will take. 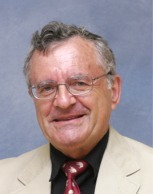 * Michael Mandelbaum. The Rise and Fall of Peace on Earth. Feb. 2019.